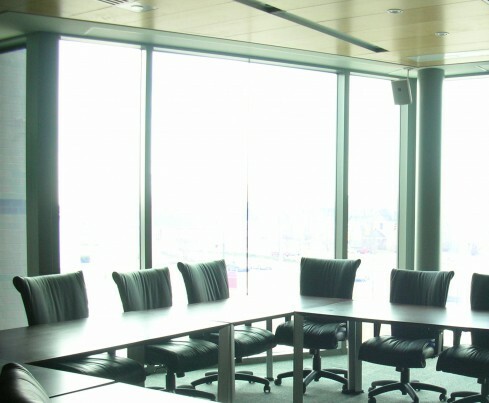 Energy Efficient SPD SmartGlass has the ability to have its tint level and light transmission characteristics infinitely adjusted from less than 1% to over 50% in a matter of seconds using a simple wall switch or remote control. In addition to manual control, it can also automatically adjust its darkness according to environmental conditions, thus maximizing the efficient use of daylight to conserve energy. 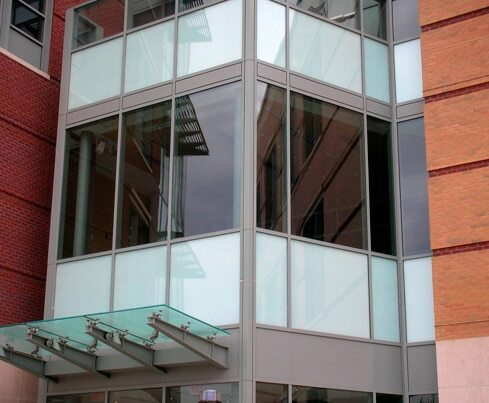 SPD SmartGlass also blocks 99% of harmful UV rays entering the building. 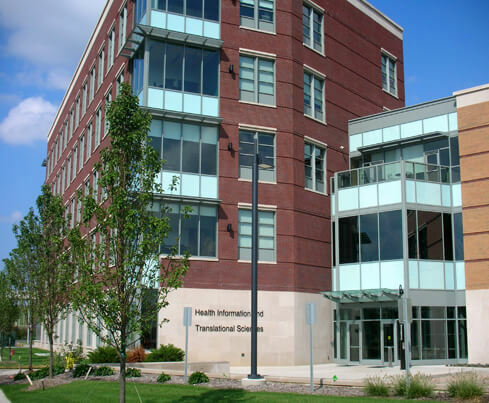 In this application, nine large exterior panels were produced and fabricated as high performance 1-inch insulated glass units. This gave the glass exceptional characteristics, with a variable and dynamic light transmission range and significant sound attenuating properties. 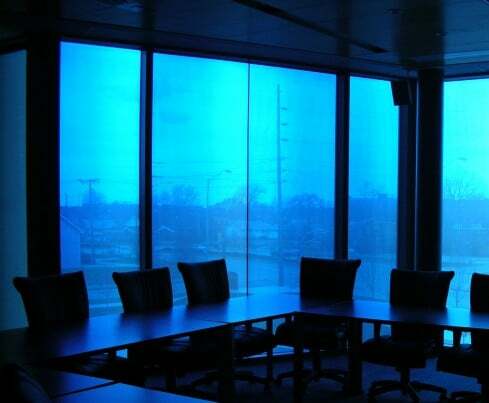 The combined laminated SPD light-control film and insulated glass virtually eliminates any outside noise generated by the main highway which is just a few hundred feet from the room.